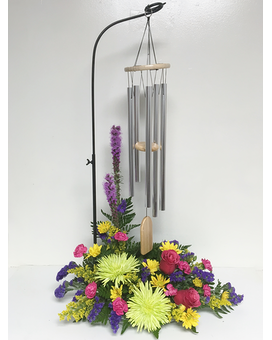 Keepsake wind chimes are the focus of this fresh-cut floral design of bright flowers. 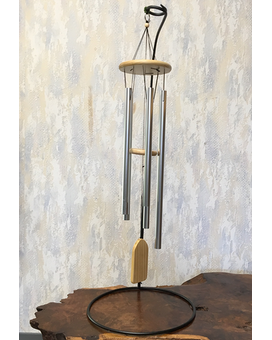 Nature's own music sounds best when accompanied by the gentle tones of this aluminum and natural pine wind chime. 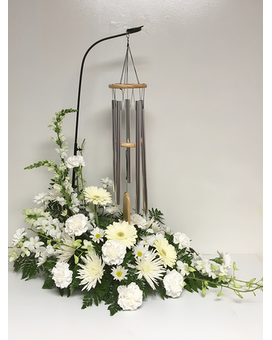 5-1/2" diameter x 24" long. 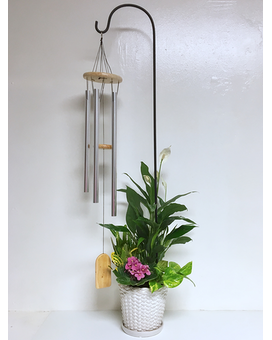 Stand measures 36 inches tall.